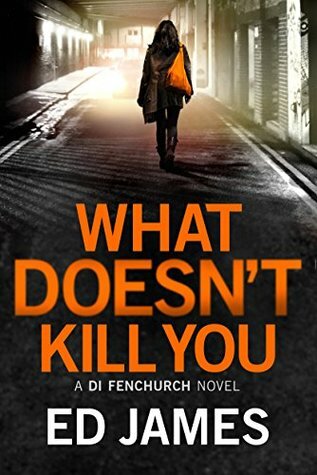 From Goodreads.com: The body of a young City lawyer is discovered on an East London building site, assaulted and brutally murdered. Initial enquiries lead DI Simon Fenchurch to a driver employed by Travis, a controversial new app-based cab company. Within days another woman—a Travis driver—is found murdered. There was just so much going on in this story that I often found it a bit hard to follow. Unfortunately, I can't attribute that to this being the third in an established series, but more to the fact that there are so many characters that it becomes hard to keep them straight after awhile. There is also the blatant disregard for procedure DI Fenchurch often engages in (such as brutality in some cases), that would never be allowed to stand. I am sure that this book brought a sense of closure to the longtime fans of this series as you do get to discover what finally happened to Simon's daughter Chloe. Overall, I am sure this story may still appeal to those who enjoy a strongly written thriller novel. I would read more from this author!